Dr. Ashok Khosla founded the thirty-year-old Development Alternatives Group and now chairs its Board. The Development Alternatives Group is dedicated to bringing about a better balance among the basic prerequisites of sustainable development - social equity, environmental quality and economic efficiency. The Group believes that the key to achieve sustainable development is the creation of sustainable livelihoods. This implies that informed and empowered communities have access to the basic goods and amenities they need, dignified and viable income generation opportunities and a clean and healthy environment. He is responsible for policy, strategic planning and the overall supervision of the organisation’s operations. He has been working towards the development and dissemination of effective environmental management systems and the design and advocacy of appropriate policies and institutions both in India and on the international arena. Responsible for initiating the production and marketing activities of the (non-profit) company. Introduced four major new rural technologies: (i) The TARA Balram mud block press (ii) The TARA Loom (iii) The TARA Pirni (iv) The TARA Chulha. Ten lakh rupees per year of sales in fifteen states. Responsible for setting up the advocacy work of the trust. Managing the public awareness campaigns on sustainable development, environment, and citizen’s responsibility. Promoting grassroots democracy and democratic institutions for transparency, participation and public consultation. Dr. Ashok Khosla serves on Board of the World Resources Institute, India (WRI). WRI India works closely with leaders to turn big ideas into action at the nexus of environment, economic opportunity and human well-being. The organization’s work focuses around two critical issues at the intersection of environment and development: climate and cities and transport. 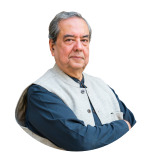 Dr. Ashok Khosla plays a key role in formulating the strategies and plans for the organization. Dr. Ashok Khosla is on Board of Centre for Environment Education (CEE). CEE is committed to ensuring that due recognition is given to the role of Environment Education in the promotion of sustainable development. The organization develops innovative programmes and educational material, and builds capacity in the field of education and communication for sustainable development. The Club of Rome is an international think-tank composed of individuals who share a common concern for the future of humanity and strive to make a difference. It was founded in 1968 as an informal association of independent leading personalities from politics, business and science, men and women who are long-term thinkers interested in contributing in a systemic interdisciplinary and holistic manner to a better world. The members are notable scientists, economists, businessmen, high level civil servants and former heads of state from around the world. The International Resource Panel (IRP) was launched by the United Nations Environment Programme (UNEP) in 2007 to build and share the knowledge needed to improve our use of resources worldwide. The Panel consists of eminent scientists, highly skilled in resource management issues. Their reports distil the latest scientific, technical and socio-economic findings around global resource use. They provide advice and connections between policymakers, industry and the community on ways to improve global and local resource management. The Panel includes scientists and governments from both developed and developing regions, civil society, industrial and international organisations. The Panel’s goal is to steer us away from overconsumption, waste and ecological harm to a more prosperous and sustainable future. Dr. Ashok Khosla has taken a lead role in providing a strategic direction to the panel in work towards a sustainable world.